Native San Diegan Reuben Guberek baked those elements into a parody of the gangster classic “GoodFellas.” His 13-minute spoof went widely public last week after being circulated as a USC film school project. Director Guberek, a 2009 Canyon Crest Academy graduate, shot the film on a $9,000 budget instead of $25 million for Martin Scorcese’s 1990 original. The hard-edged homage — which could draw an R-rating for salty language — is posted on Vimeo and YouTube and began airing on PBS stations nationwide, including San Diego’s KPBS. The film keeps dishing out puns and McDonald’s references from there. 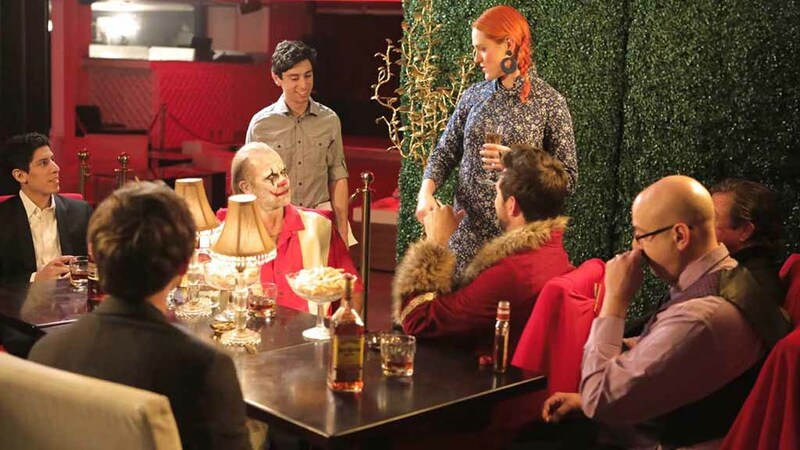 “The entire restaurant scene in which Ron the Don makes King nervous saying ‘Because I’m a clown, I make you laugh, I amuse you?’ is a direct homage to a scene in ‘GoodFellas’ between Joe Pesci and Ray Liotta,” said Guberek, the 25-year-old son of Michael and Miriam Guberek of Encinitas. 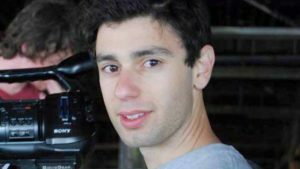 Since graduating from USC in spring 2015, Guberek has found work as a freelance editor in Los Angeles. “But I just recently moved back to Encinitas because I’m going to be making a film here in San Diego,” he told Times of San Diego. At Canyon Crest Academy in Carmel Valley, he was a founding member of the ComedySportz improv team. “I still make use of the comedy chops I developed back then,” he says. Times of San Diego: What is your connection to ‘GoodFellas’? 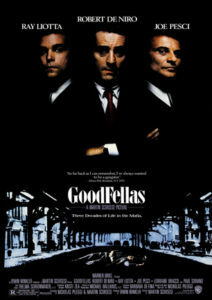 Ever met Scorsese or any of the Goodfellas actors? Has Scorsese seen ‘Foodfellas’? Reuben Guberek: I wish I could say yes to any of those things! If Mr. Scorsese somehow saw ‘Foodfellas,’ that would be would be the cherry on top of this whole endeavor. 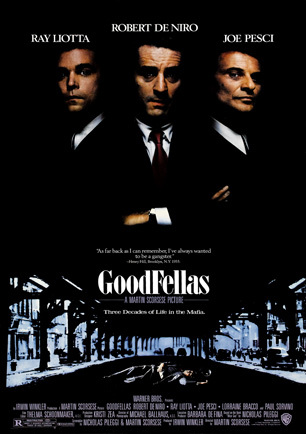 Whose idea was it to parody ‘Goodfellas’? Why did it start “This film is based on a true story?” Just for the film-style vibe? Comedic value? 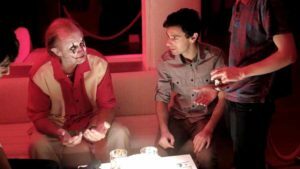 The credit for the idea goes entirely to Lauren Kleeman, the writer of “Foodfellas.” The opening title “Based on a true story” is another wink to “GoodFellas.” But I also thought it was funny that our film was claiming the pretense of be a “true story,” despite having a clown-faced burger-mobster man. A lot of Hollywood movies that say they’re “based on a true story” are taking a big liberty with that statement. But I also like to think comedy always has a grain of truth, and there might just be some truth to the metaphor of these giant fast-food brands as ruthless kingpins. Scorsese incorporated lines from improvisation in rehearsal. Did your actors ad-lib? Yes, Dave Florek, who played Ron the Don, was an especially strong improviser, so I’m glad we got to take advantage of that talent. “Just work on the fries” and “I’ll give you some nuggets right here” were both some of his improvised lines that got a laugh at our premiere. Where was “Foodfellas” shot? How long did shooting take? When did it wrap? How long did editing take? We shot at a Beverly Hills nightclub, the USC campus, a fraternity house kitchen and even at our own professor Tom Miller’s house —which was very kind of him. Our eight days of shooting spread out over five weekends, wrapping in March 2015. The editors had about five or six weeks to edit. Which sounds like a lot, but they were editing while going to classes full time. “Foodfellas’” budget was around $9,000 which is jointly paid for by USC film school and the student crew members. As a student film, the bulk of cast and crew are unpaid. Only a few specialists were paid, such as the Steadicam operator for the pool party scene as well as the colorist. Credits list four people under “Legal.” Any concerns using names similar to real companies, and the original movie? Have you heard from McDonald’s, Burger King, KFC (killing the Colonel!) or Wendy’s (stealing the red-haired girl)? Any complaint from Warner Bros. Pictures? We never heard from any of them. We did discuss legal issues with the faculty, and we even airbrushed out a McDonald’s logo off the chicken nugget toy. We’re in the clear because we never use their names or logos. But even if we had used them, I think we’d still be in the clear due to fair-use laws that pertain to parody. Who has seen the film? Where was it shown? What is KQED’s role now? Will Film Shorts be seen on KPBS? KQED has been an amazing partner in releasing “Foodfellas” on PBS stations all over the country, including KPBS, where it premiered November 13. It is now viewable anytime on PBS Film School Shorts’ Vimeo channel. “Foodfellas” has also shown at several film festivals, most notably Cleveland International Film Festival, Portland Film Festival and Interfilm Berlin. What are your hopes for the film? Oscar nomination? Film festivals? Other awards? All of my hopes for the film have already come true, and have been surpassed. My biggest hope was for it to have a good reception at our USC premiere, which it did. Then I’ve enjoyed getting to follow “Foodfellas” to festivals, finding KQED as our TV distributor. There was even a moment after our film won honors such as “Today’s Best Short” on Digg.com and was a “Featured Video of the Week” on FilmShortage.com when it suddenly had all sorts of blog articles popping up around the Internet about the film, and our view count shot up to over 13,000. So “Foodfellas” has already been a success in my eyes. Three faculty members were noted in the credits. What did they do? Michael Peyser ran the thesis film class and would check in with our producers Jacqueline (“Cookie” Walukas) and Arturo (Thur de Koos) about logistics. Steve Albrezzi was the directing mentor, who helped guide me through the casting process. Tom Miller was our project mentor, and he worked the closest with us at every step of the creative process from writing to editing. He really went above and beyond by letting us film the pool party scenes in his own back yard. How did you land veteran actor Dave Florek? Our faculty professor Steve Albrezzi brought Dave and some other actors into class one day to do a script reading. Dave’s charisma and his choice of playing Ron the Don so straight in mobster style immediately solidified the character in our heads. Thanks to Steve, who dropped the hint that Dave might be interested in the role, we went ahead and offered it! We were very lucky to have him. How did you find Justin Powell — the young King of Burgers? What’s his background? I met L.A.-based actor Justin while I was working on my friend Sean Hollihan’s film called “Franklin Fogerty, Kid Detective” in which Justin played the titular role. Having already seen Justin in action and his positive attitude on set, I felt comfortable offering him the role of King. How many people worked on “Foodfellas”? I’ve never done the full count myself. We had a core on-set crew of about 15. But all combined, we had well over 50 folks involved. Why 13 minutes? What scenes did you scrap? We had a time limit as per the rules of the thesis film class, and we were just under. We used every scene that we shot. But there were a few extra scenes in the original script that we cut at the early stages in order to simplify and fit our production limitations. There was a longer intro scene where someone opens a car trunk with a body in it — another homage to “GoodfFellas.” There was also an argument between King and his wife, Wendy. What are your current projects? What’s your goal in show business? My goal is to write, direct and produce original and independent feature films. I plan to be in production next year with a feature film I’m co-writing with my friend Luc Février-Silberman. It’s an existential comedy called “Sign Man,” and it follows the adventures of a man who holds a sign at a street corner for a living — probably a familiar sight to people living in North County. We hope to bring that to festivals in early 2018 and continue making features. I also have several film projects I’m collaborating on writing with my brother, Gedaly. Who were your major mentors at USC or earlier? What did they teach you? Tom Miller was one of my major mentors at USC, who is a professional editor and documentarian in his own right. I was in two of his editing classes before having him as “Foodfellas” project mentor. I always liked that his approach was to take a step back and first really understand the script. From him, I learned that story should guide each creative decision. He also had a very meticulous eye for editing, which helped me develop my own. Another mentor is Destin Cretton, who was one of my high school film teachers before becoming a wildly successful writer/director. I feel that he’s led by example. He’s shown me that you can be a success in this business while still embodying humility and without compromising your creative vision. Where did you get the archival clips used in “Foodfellas”? Our talented editor, Grant Wooldridge, gets all the credit for sifting through and picking out the archival clips. He found them through Prelinger Archives. What else are you interested in besides film? Any sports or hobby achievements? I’m a big fan of outdoor adventure. I love to summit mountains on day hikes or overnight backpacking. What are the early reactions to the public release of “Foodfellas”? I don’t know a lot about how people are reacting to it through their TVs, but ever since releasing “Foodfellas,” I’ve heard a lot of positive feedback from people that makes me feel warm and fuzzy inside. The goal was always to make a crowd-pleaser. Anything else readers should know about you or the short film? “Foodfellas” was totally a collaborative endeavor. It wouldn’t exist without the talents of the producers, actors, writer, cinematographer, editors, composers, production designer, sound and beyond. I can’t speak more highly of my cast and crew alike.